My name is Eugene Meltsner, and I have created this blog to document my extensive travels throughout hither and yon, to the far reaches of the world! To start off my travels, I ventured to the house of Belle. She was very kind, and all of her dolls made sure that I was well rested and felt right at home. After meeting many names and faces, Belle decided I should take my first picture among these beautiful ladies. Unfortunately, I only am able to remember some of their names, but they are as follows. Neela is to my left, and Isobel is to my right. The tallest young lady in the image is Rose, and beside her is Liesel. Finally, in the blue dress on the right of the image is Alice. Are you going to set turns, like who gets him for how long, and who goes next? Nope, anyone can jump in at any time. OK, I have a question. Do we print the picture or just edit Eugene's face into the photo? That's how your picture appears to be done, but I wasn't sure. Print out the picture, and pose him. ETA: Be sure to find the link in the first post where all your submissions will be posted! 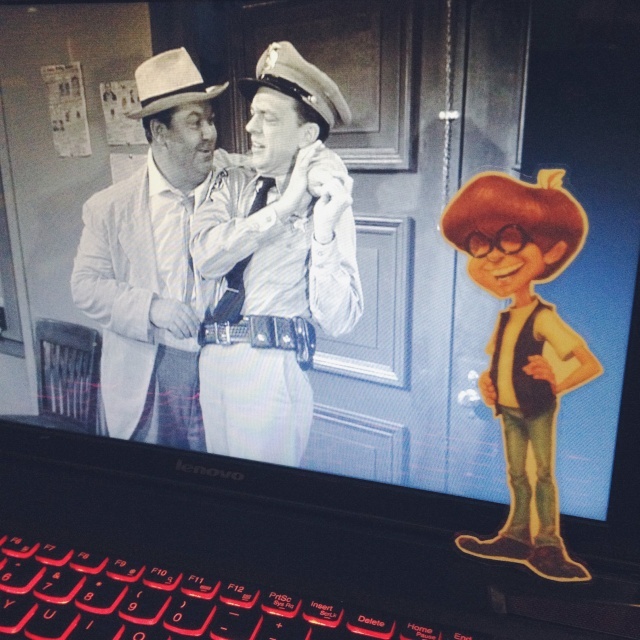 I snapped this photo of Eugene watching Andy Griffith with me.. Eugene was quick to remind me it is Mr. Whittaker's favorite show. Flat Eugene was a bit miffed that I did not invite him on my past two trips to Michigan or South Dakota...oops. But, he has still graciously agreed to help me pack for college. Be sure to check the website at http://flateugene.weebly.com for new adventures, and please submit photos to flateugeneproject@gmail.com! I traveled to California to visit my friend Woody. He was in a bit of a rush, taking photographs for the Town of Odyssey's Photo Frenzy contest. I agreed to help him out by appearing in his photos! It was quite exhilarating. First, Woody showed me his rather impressive coin collection. It spans 60 years, from 1955 to 2015. Needless to say, I was fascinated by these interesting scraps of history. 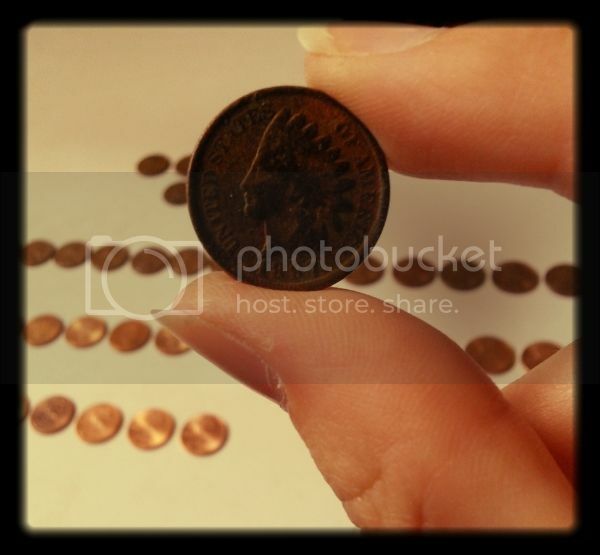 It is most intriguing to imagine the places these coins have been. 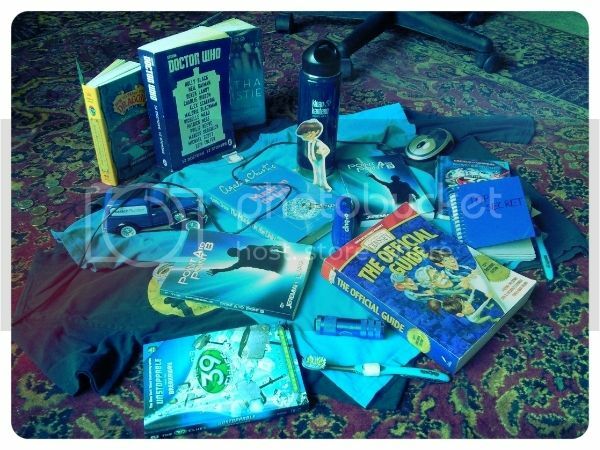 I also posed in this photo of various blue items Woody compiled. I felt slightly out of place, but my blue jeans allowed me to excuse my presence in this ensemble. Woody also invited me to do some study in the world of botany. 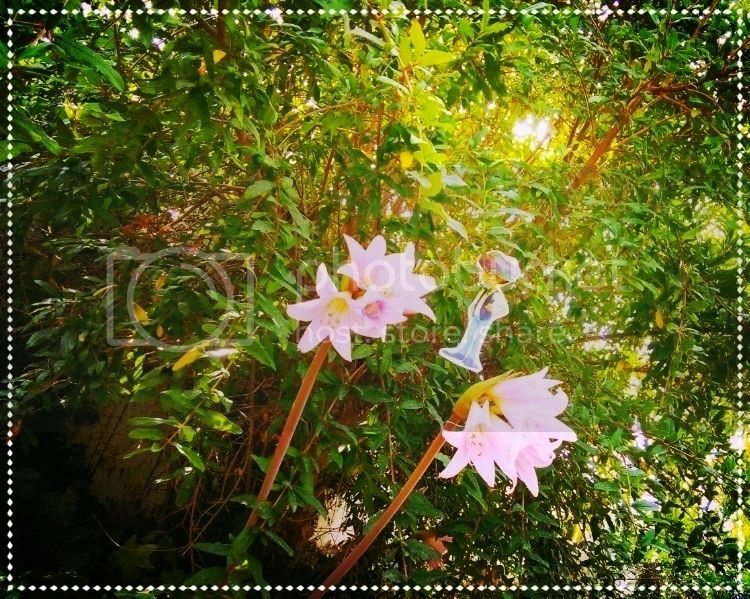 This particular specimen is known as the Crinum moorei or the Natal Lily. It is native to South Africa, so I was quite surprised to find it in California. Thus concludes the adventures of the day. However, I intend to stay with Woody for the next several days, so there will likely be more photographs taken soon.